Happy Monday, Blogosprites! Yes, we're back, and we're back BIG, because today I grace you with an interview with the absolutely fabulous Leah Clifford. You may know Leah from YA Rebels or by following her on Twitter or Facebook. 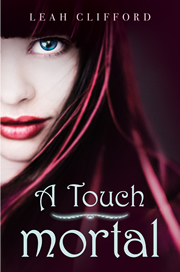 Leah's debut novel A TOUCH MORTAL just came out last week and it's already getting rave reviews all over the web. So let's meet the genius behind the book. Hello, Leah! Tell us a bit about yourself. I was born and raised in Ohio, still live there but I escape as often as possible! I love to plot on long car rides. I was first drawn to writing when I was really young. When I got to college, I took a few fiction writing and poetry classes but only really dabbled. I took a break for a few years while I was living in Colorado and then picked it up again with the goal of getting published. Tell us about A TOUCH MORTAL. What's the story about? 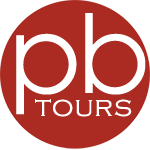 I read the blurb on your site and it sounds fabulous. How did the idea of the story come to you? A Touch Mortal started as a short story. The scene and characters always kind of stuck with me, and when I needed a new project, I decided to expand it into a novel and figure out what was going on. The original short story is now part of Chapter 21! That's so cool! Tell us, what's the hardest part of writing for you? When I start writing, I typically get out a few random scenes, fights or something strange happening. The hardest part for me is shifting from writing "the cool stuff" to actual linear story. Any tips you've learned about writing you'd like to share? Read a lot. As much as you can get your hands on! Yes! I couldn't agree more. So, if you could have any super power, what would it be? Quick writing test! Use the following words in a sentence: whisper, construction, and daffodil. My feeble construction of a sonnet came too late, and I heard the whisper of daffodil petals striking the floor as you turned away. Excellent visual there. Here's the part where you thank the people who are supporting you. Let's hear your shout outs. I'll send a shout out to the YA Rebels, my vlogging group! Also to Courtney Allison Moulton who keeps me sane! Leah, thank you so much for chatting with us. Your book is definitely on my to-be-read list. I just had to mention that it's We Do Write's first blogoversary! Of course, being the scatterbrain that I can be, I didn't plan any contest or some fun and/or entertaining video to delight you all with ... yet. But I might have to get the gears in my head working soon so I can do just that. I will, of course, keep you informed. That said, I have a few interviewees lined up, so stay tuned for those! Happy Valentine's Day, everybody! I hope your day has been full of love, in one form or another. To fill your day with more loving feelings, I've got an interview full of YA love. 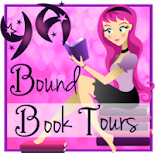 Let's talk to awesome author Rachele Alpine. Hi, Rachele! Tell us a bit about yourself. Well…I describe myself on my blog as a young adult author represented by Lina Sion at Global Literary Management. My YA novel CANARY is currently on submission to publishing houses. I teach high school during the day, am a MFA fiction writing student at night and use any free time in between to write, write, write! I am a lover of Chipotle, Diet Rootbeer, sushi, traveling, knitting, dogs, music and spending time with my friends and family. So, all around a fabulous person. How long have you been writing? I’ve been writing since I was little. My mom has notebooks full of scribbles that I filled when I couldn’t even write, a picture that I made in kindergarten that says, “When I grow up I want to be a famous writer,” and diaries that chronicle my entire life growing up. I’ve always loved to read and write. Tell us about CANARY. What’s the story about? When he lands a job at Beacon, Kate finds it easy to fit in when she starts dating a player on the team, while her brother, shy and weak, is rejected by the school. Kate quickly learns that in order to be a part of this group you need to overlook the perks given to the athletes who openly disgrace her brother for not being one of them. The players take their power too far one night at a party and Kate is assaulted. She doesn’t stay quiet about what happens, but her accusations aren’t accepted by the Beacon community. The school rallies with the team and lashes out at her. Ugly rumors are created to destroy Kate and her credibility. She’s not praised for her decision to be truthful, but instead, it brings terrible consequences. The final blow comes when her dad tries to silence her in order to protect the team. Wow, that sounds intense. How did the idea of the story come to you? There’s a few things that influenced the story. My dad coached basketball and I grew up surrounded by the sport. I saw the world of the game and how players were often exhalted and treated like gods. This attitude towards athletes hasn’t changed, in fact, it seems to be in the media quite often. It angered me to see sports figures or stars get special privileges because of who they are. This sense of entitlement can also transfer to high school and I wanted to explore that dynamic. “In history class we learned how canaries were used in coalmines to warn miners of dangerous gases. A canary was lowered down into the deep dark bowels of the mines. If a bird was pulled back up alive, then the miners knew it was safe to go down. If it died, the bird was sacrificed, an early warning saving the lives of the miners. The miners also brought the birds down with them. A canary sang and sang and if the bird stopped singing, the miners would evacuate. The bird was more sensitive to the harmful gases and the miners would have enough time to get out safely. The birds, however, usually didn’t. I imagine the birds doing what was natural to them, and having that used against them. Their tiny lungs and that sang were what ultimately destroyed them. I just thought that this was such an incredible thing. These birds were just doing what came naturally and that was their downfall. I started to think about how this metaphor could apply to people and that’s where the idea of Kate speaking out against something that has happened to her and her father and the school trying to silence her. The main conflicts in the book came from this image of a canary in a mine. I'm sure a lot of aspiring writers out there would like to hear about how a story evolves once an agent gets a hold of it. Has CANARY changed much during the revision process? Oh boy, has it changed! We’re now about the start our next round of submissions to publishing house and the book that I signed with Lina Sion for is a lot different than the one that will be going out to editors. We’ve spent a lot of time revising it, including about four months of extensive work after our first round of submissions. The biggest change was the main character of Kate. She was very passive and not too active. Everything in the book happened to her. She’s now very bold, outgoing and someone you want to cheer for. My agent and I had both seen the movie Easy A and loved how Olive wasn’t a victim of the rumors about her, but instead made the letter A and worked her new reputation. That’s how we wanted Kate to be, so I kept that spunky confident attitude in mind while I revised. I think finding time where I can really devote myself to writing. It seems like life is always so busy during the school year and when I sit down to write I’m often too tired to do so. That’s why the weekends and the summers are a godsend to me. I hear ya! Any tips you’ve learned about writing you’d like to share? I think it’s important to surrounded yourself with those who support you. Writing is a tough job and it’s very solitary because you’re the one who is creating the words. You need a support system of friends and family who understand and are willing to both give you time to work on writing and rescue you and take you away from your writing when you need a break. You also need to surround yourself with other writers. They know what you’re going through, they’re cheering for you and know how hard writing can get. If you can find two or three great readers, you’ll be able to develop a support system where you can bounce ideas off of each other and look for advice. Great tip! Let’s get to know you on a deeper level. What do you absolutely have to have nearby when writing? I love writing in coffee shops. My favorite is the Starbucks in the Barnes and Noble by me. What could be better than writing with books all around you? I always need something to drink and my ipod. Sugar is a must and I usually snack on gummy candy when I write. Super speed! How great would it be to fly through the mundane tasks like cleaning, making dinner, showering, blowing your hair dry? If I had super speed, I’d have a lot more time for writing! That's actually a great choice! Quick writing test! Use the following words in a sentence: tricycle, caterpillar, and wedding cake. The little boy rode his tricycle around and around the caterpillar on the sidewalk while eating a slice of his sister’s cake from a wedding that never happened. I have GREAT support and I’m so lucky for that. My family has always nurtured my love of reading and writing from a young age, my finance understands that there are days and nights when I need to sneak away to write in my office undisturbed or to spend a weekend day writing at a bookstore. My school is excited about my writing and has allowed me to attend some great writing conference and start a creative writing program. Locally, I’m a part of a great Cleveland book club filled with published authors who keep me sane and my MFA program where the other writers get what I’m trying to do. My agent, Lina, loves and believes in this book and wants to see it published as bad as I do. And lastly, some of my greatest supporters are my blog readers and my online writing buddies who all have play a role in the creation of my book. 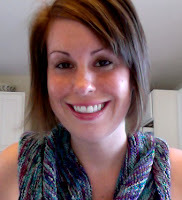 Come say hello to me on my blog! Rachele, thank you so much for talking with us. Your book sounds amazing and I wish you the best of luck with it. Today we're speaking with a wonderful person who is not only a writer but a spiritual medium. I have to say this is a first for me, and my interest is piqued. How about you? Well then let's get to know her. Hello, Lorraine! Tell us a bit more about yourself. 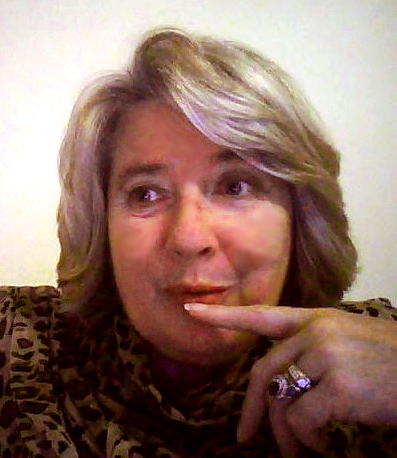 I am a genuine and natural medium who does online readings worldwide from photographs as well as public speaking trying to educate people about real and fake mediumship. I also have two sites called Authors on Show and AOS (authorsonshow.com), launched on May 16th 2010, which promotes new and established writers. I started writing in November 2009 in a very small way with one book called, A Guide’s Guide to Mediumship and Healing. I had only done three chapters when a literary agent asked for the whole MS on the suggestion of someone who had seen what I had written on a writing site and thought they’d like it. I didn’t tell them three chapters was all I had and instead, asked for two weeks to ‘tidy it up’. I spent the next two weeks writing madly. I duly finished it, sent it off to them and they signed me within a week or so of receiving it. Since then, I have written three other completed books. 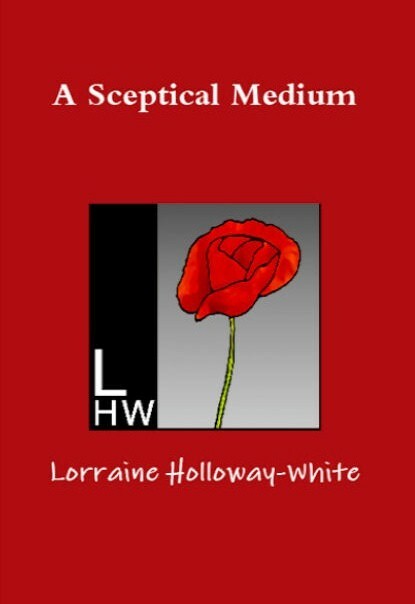 My Life – My Mediumship is the second book my agents have and there is a self published one called A Sceptical Medium (ASM) as a ‘get to know me’ book. ASM book two is ready to be printed any time now. The last two were done as people kept asking when they could buy one of my books. The publishing world is notoriously slow, so rather than lose the interest I had, I self-published. I presently have four more books on the go. Tell us about A SCEPTICAL MEDIUM. A Sceptical Medium is a compilation from my blog of the same name. As a natural born medium and healer, I am sickened by the entertainment style seen by many on our television screens, which is nothing like real mediumship. That, together with so many frauds and charlatans and people who believe they can ‘learn’ to be mediums, made me want to correct that. My first book, A Guide’s Guide, is actually inspired by the spirit world and talks of these things giving instruction into what is and isn’t acceptable behaviour. My aim with ASM, is to instruct, guide and explain to people what real mediums are like and how they practice. It teaches the difference between medium, psychics and clairvoyants helping people to know who is possible genuine and who isn’t. There is so much more to it than that and everyone will just have to buy it to see. ASM book one, also contains sample chapters from both my other books as a taster of what is to come. One project is called Are you a Natural Medium – Your Questions Answered and there are three more I won’t be saying anything about just yet. I am not lucky enough to have anyone living nearby who is unbiased enough in my writing to be able to do that so I self edit. Those who could be unbiased are uninterested. The problem is the content of my books. You see, I kept what I was quiet for most of my life and so those who know me have found it strange to think I am now a person they don’t recognise as their friend. They want to keep the new side of me apart from the person they’ve known for so long. I can understand that as I would find it difficult to hear someone I had known for 30 odd years had a side to them I knew nothing about – especially one like that! That would be strange to come to terms with, yes. What’s the hardest part of writing for you? I don’t find the writing part at all hard. I hate editing, but don’t we all? I suppose the worst part is finding the time to write without being disturbed. There’s always a meal to cook or shopping and housework to do which bites into a huge chunk of writing time. If I lived alone it would be easy, I could ignore all of that when inspiration strikes, but with a husband and a dog to see to, starvation and neglect can’t be considered. It is so frustrating having words tumbling around in one’s head and not being able to put them down. 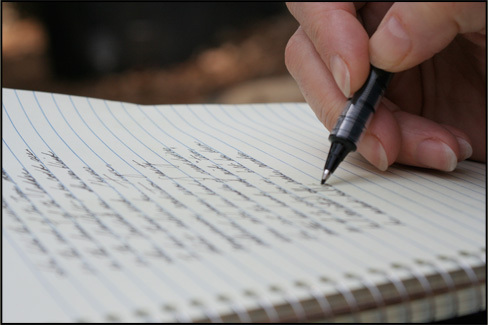 Often, by the time we get to writing them down, the words aren’t so clear or have even completely gone. When watching films and seeing writers going off to log cabins or French Retreats on their own for months on end in order to write, I thought it was a bit dramatic and pure fantasy made up for the big screen. I now see the beauty of being able to do that and understand the need for it completely. Sadly, we don’t live on the big screen and as mere mortals struggling to juggle home life, husbands, and money, we work the best way we can. The two best ones are, read your work aloud slowly and properly as though reading to another person. You hear so many mistakes by doing that and it is invaluable when editing your own work. The second lesson I learned was we all use ‘pet words’. Two of mine are the words ‘that’ and ‘may’. I now go through all my work reading aloud and often have to cut two or three extra ‘that’s or ‘may’s’ out of every few sentences. We all do it; the difficult thing sometimes is recognising which those words are. Oh, and carry a small notebook and pen at all times. All of my bags now have one inside just in case inspiration strikes when I’m out. That way, I remember what it was I thought of when I get home to the laptop. Vaseline, tissues and a drink of water. That sounds awful doesn’t it and makes the mind boggle. The tissues are because I get sneezing fits from time to time – always when I don’t have a handkerchief on me - so a box of tissues is handy to have around at all times. The Vaseline is because my lips get dry and sore. I can’t live without it and it goes most places with me. Water is a must as when I start writing and I’m on a roll, the whole day can go by without me noticing so water is my lifesaver. I like it with lots of ice. Quick writing test! Use the following words in a sentence: tea cozy, glitter, and inquisitive. We discovered that grandmother’s strangely acquired habit of throwing glitter over her tea cozy was done in order to stop her inquisitive grandchildren, whom she had learned hated getting it all over their hands, from finding the stash of chocolate biscuits she had hidden underneath it. That was pretty brilliant! Here’s the part where you thank the people who are supporting you. Catherine Condie who is author of The Whirl of the Wheel helped with typesetting A Sceptical Medium and uploaded it onto Lulu.com and Smashwords for me. Without her help, I wouldn’t have my book for sale. The other people I have to thank are some friends who are not authors, but who have known me for years and encouraged my mediumship. They gave me the courage to move forward and had faith in my ability when I doubted. They are Val, Christine, Bea and Laurene. Of these, Laurene is the one who pushed me, shouted at me, got frustrated with me and drove me to ‘get on with it’. Any success I enjoy is down to their encouragement and belief in me. Lorraine, thank you so much for talking with us today. It was great getting to know you, and I wish you tons of success with your books.